According to analysis of SITA’s 2017 Air Transport IT Trends Insights, airlines are increasingly prioritising investment in the connected aircraft, with two-thirds of airlines set to enter a new era of connected on board services by 2020. 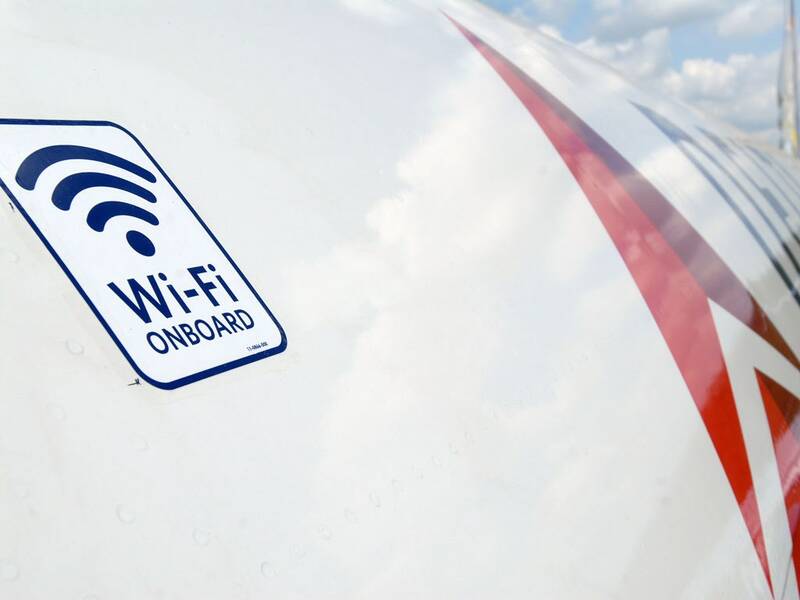 The research, presented by SITAONAIR, has found that over 90% of airlines intend to increase investment in wireless services for cabin crew and pilots over the three years to 2020 – an 18% increase over last year. Over a third (34%) of airlines expect to receive connected aircraft deliveries within the next three years, compared with more than a fifth (21%) in SITA’s 2016 Airline IT Trends Survey. This year’s research also found 69% of carriers committing to a major program (40%) or R&D/trial (29%) to establish full satellite broadband connectivity to aircraft. 91% of carriers are targeting investment in wireless in-flight services for passengers (54% in major programs; 37% in R&D or trials), with boosts to data bandwidth topping the agenda. Passengers’ preference for enjoying inflight entertainment (IFE) via BYOD – e.g. with a ‘second screen’ of their own – was reinforced for a second consecutive year, with 24% having invested in Wireless IFE to passengers’-own devices and 46% planning to do so by the end of 2020. When questioned on the topic of pricing for delivering on-board Wi-Fi passenger services, there were similar ambition to provide free (an additional 43%) and paid-for Wi-Fi sessions (an additional 42%) by 2020 – with many airlines already exploring business models. Reflecting on the findings, SITAONAIR’s vice president of strategy, Dominique El Bez, said, “Our industry’s connected aircraft vision, with its complete, connected in-flight experience, is irrefutably here to stay. Airlines are increasingly aware of the value-added benefits presented by in-flight connectivity options that we at SITAONAIR are experts in delivering, to advance their ROI.